Alice Springs, in the heart of the Red Centre, gets the Springs part of its name from a waterhole close to the site of a telegraph station which, established in 1872 to relay messages between Darwin and Adelaide, was the original site of the first European settlement in Alice Springs. Alice was the name of the wife of the superintendent of telegraphs in Adelaide. If you are looking for an Outback adventure or an Aboriginal cultural experience Alice Springs is the perfect place to start. The Aboriginal Art and Culture Centre offers desert discovery tours, didgeridoo lessons, art exhibitions and a museum. 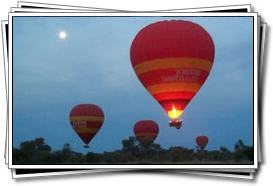 Alice Springs is also well known for ballooning and camel trekking. Nearby red sandstone formations such as can be found at Kings Canyon or Uluru (Ayers Rock), important to the Aboriginal way of life, provide a fascinating and sometimes sobering insight into a culture that dates back more than 300,000 years. The Northern Territory is a vast swath of untamed desert interspersed with dramatic rock formations, often referred to as the Outback. 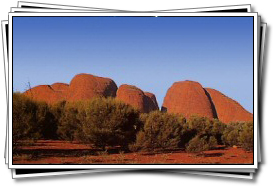 Those brave enough to venture into the Outback of the Northern Territory will find a few towns such as Tennant Creek and Alice Springs, but the prevailing feature is the breathtaking emptiness of the truly unspoiled Red Centre with its unfathomable monolith Ayers Rock or Uluru, a natural sandstone formation so large it can be seen from space. 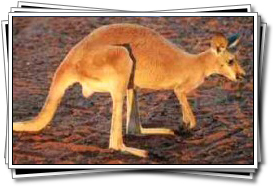 Temperatures can be surprisingly extreme in the Outback with as much as 20 degrees (C) difference between night and day. December to January are the hottest months with daytime temperatures often climbing to 40°C. In order to avoid the extreme heat, the Outback should be visited during spring and autumn. If you go exploring, ensure that you have a few weeks' worth of water with you (per person) and that someone knows your travel plans and intended destinations.